This is big news, in the realm of game design studies. 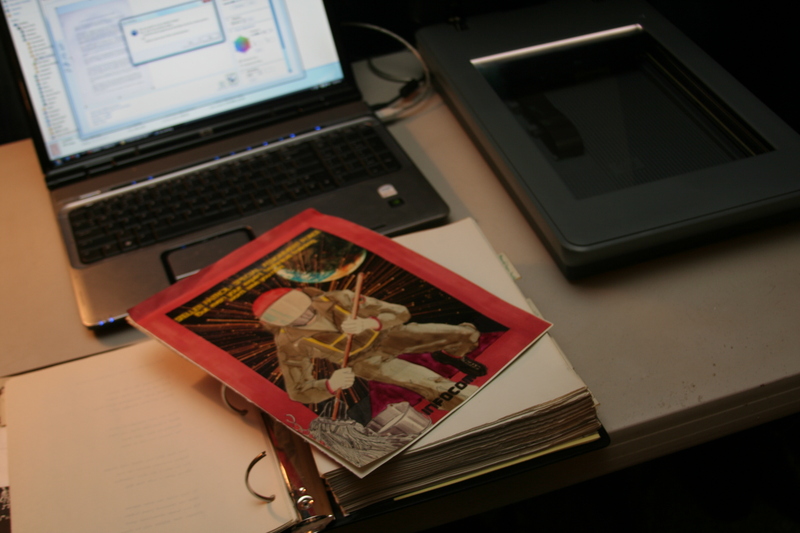 During the production of GET LAMP, I spent a lot of time digitizing or photographing all sorts of artifacts and documents related to Interactive Fiction and text adventures. 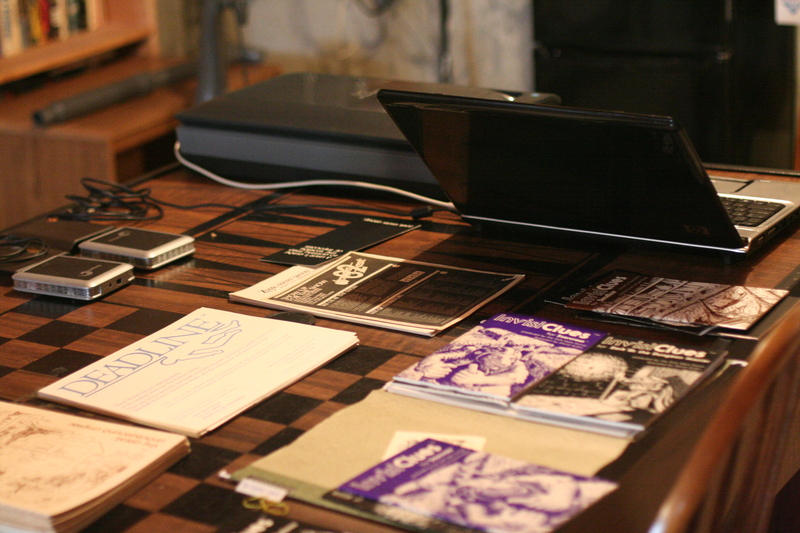 This included books, advertisements, printouts, and various ephemera that various players or programmers had lying around from that era. This would usually involve one or two ads, maybe a map or two that someone had drawn, and one or two photos snapped at a convention. But not in the case of Steve Meretzky. If you’re coming into this relatively new, or even if you need a little brush-up, let me state: Steve Meretzky has earned the title of “Game God” several times over, having been at the center of the early zenith of computer games in the 1980s and persisting, even thriving, in the years since. He continues to work in the industry, still doing game design, 35 years since he started out as a tester at what would become Infocom. 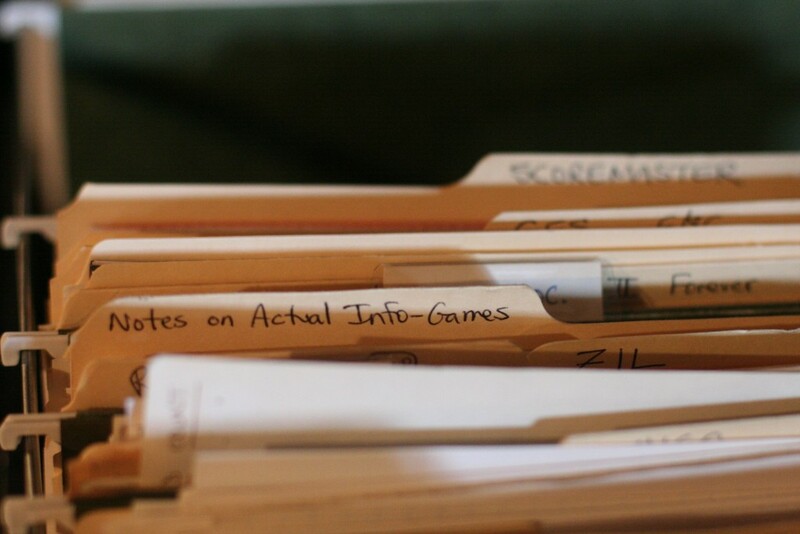 But more than that – besides writing a large amount of game classics in the Interactive Fiction realm, he also was an incredibly good historian and archivist, saving everything. This took a long time. I scanned as much as I could, and after working on Steve’s “design binders”, which are very large combinations of every scrap of paper related to a game, I took a run at the file cabinet, which had pretty much every major communicated aspect of the Infocom company, from memorandums and business process through to interoffice softball game preparations and crab race outcomes. I definitely didn’t get everything, but I got a whole lot. Something on the order of roughly 9,000 scanned items, in fact. Ultimately, Steve moved out of his lovely home and went to the west coast. 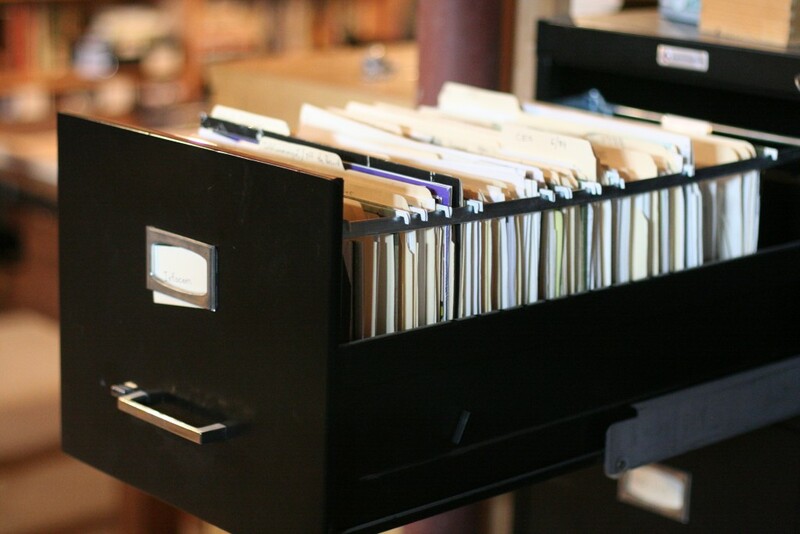 His binders, artifacts and other items went to Stanford University, where they are housed today. 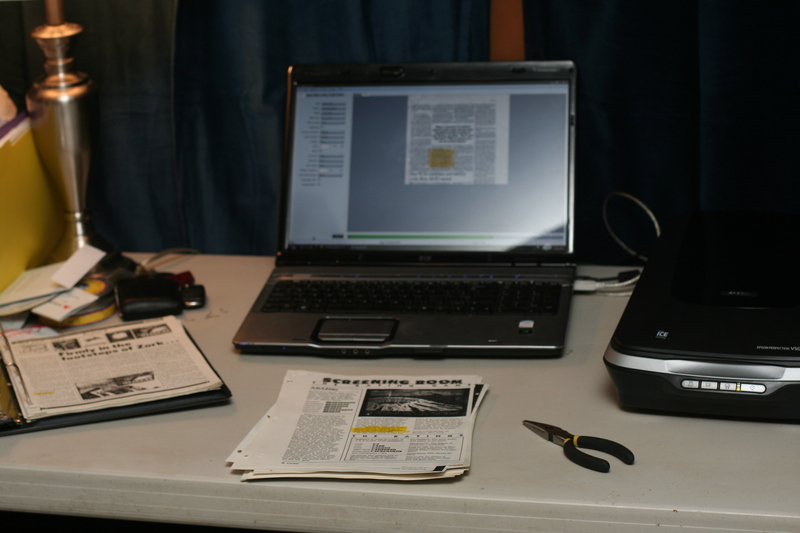 I sent them copies of my hard drives, and they are using them (to my delight) to house their own digital form of the archives, and intend to bring in the remainder of the materials over time. I ended up using a lot of material in GET LAMP, with loving pans across these 600dpi images of puzzles, writing and advertisements while people talked about text games and the craft of creating them. And after the movie was done, I put the scans away and moved onto other projects. 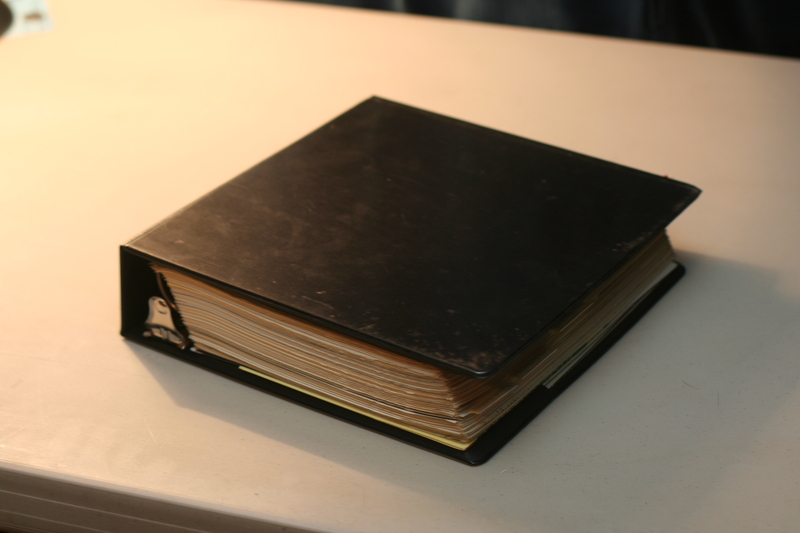 Right there are nearly 4,000 pages of material to go through related to the production of these games. 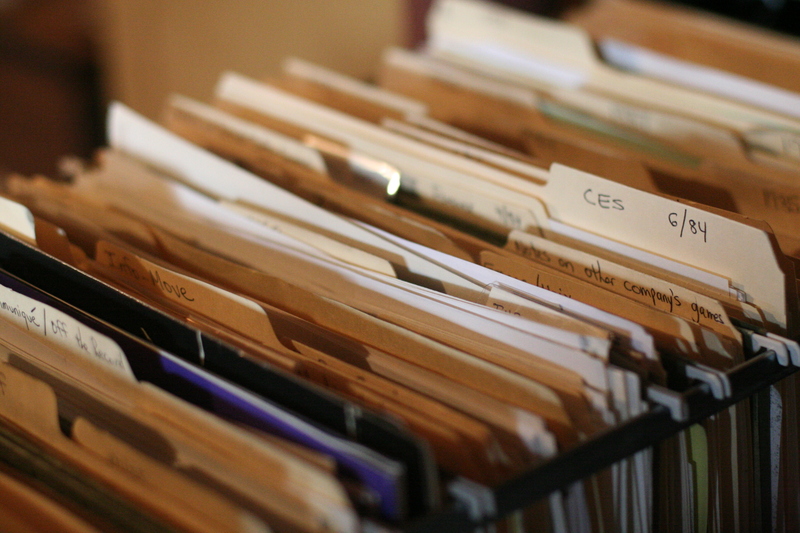 Bear in mind: Steve did not mess around when it came to assembling these folders. He includes the light, drizzly roots of a given game, whether it be some cut-out newspaper articles or an exchange between employees of “what should Steve work on next”. (In some cases, heavy descriptions of the games Steve never got a chance to make, including a Titanic game and Minute Mysteries.) It then follows through many iterations of the maps, puzzles, references of any given work. Often, there are draft versions of the artwork and text for the manual and hint books, including all correspondence with outside vendors (like G/R, the copywrite/design group Infocom used heavily and which Steve has the occasional huge disagreement with). Then, once the game is functional, we have letters and feedback from playtesters. For someone involved in game design, this is priceless work. Unfettered by the crushing schedules and indie limits of the current industry, the designers at Infocom (including Steve, but not limited to him by any means) were able to really explore what made games so much fun, where the medium could go, and what choices could be made. It’s all here. 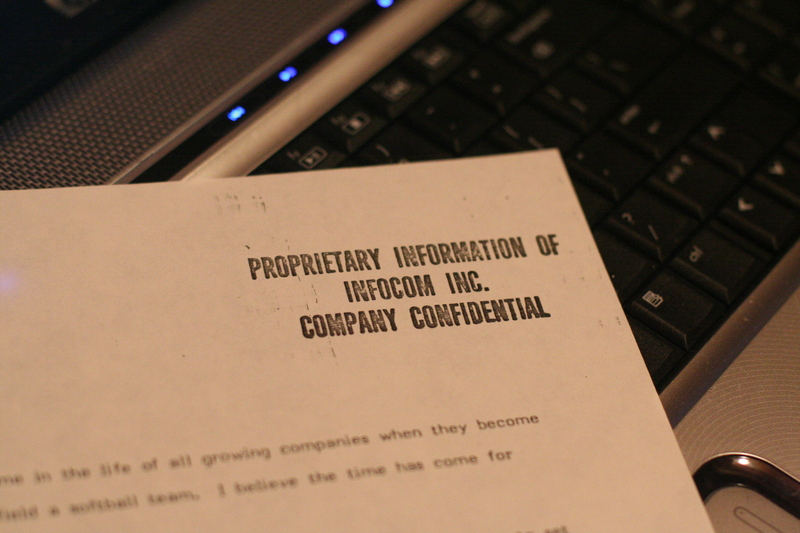 But more than that, and I mean much more – Steve kept all the memos, business process, and related papers that were generated through Infocom Inc.’s life. Like, pretty much all of it. This is a relatively tiny amount of the total internal company scans I have made, but these are the ones that I can put up without worrying about it crashing into anyone’s life. Again, personal information has been removed, and the focus has been on company process and interesting historical documents. There’s so much more not up right now, but this 4,000 page cache should give you something pretty extensive to chew on. I also can’t promise when the ‘next wave’ will come, as it really will be time consuming to go through compared to the relatively light (personal-information-wise) design binders. But it will! I can’t thank Steve enough for what he did during the timespan of Infocom – he just absolutely captured a very special company during a very special time and kept it, well-sorted and updated, for years and years. That we have this at all is a tribute to his staying firm to this approach, even with the side-effort of, you know, completely revolutionizing computer games. Jason, this is so friggin cool. Thank you now and in the future for all of this. Awesome man!! Thank you for doing this. Infocom games were a huge part of my childhood and yet again you’ve done great work in preserving this treasure trove. Hats off to you sir. me and two fellow archivists are collecting and preserving documentation from primarily Swedish game developers. http://spelarkivet.nu (meaning: game achives) I’m sorry to say that our page is only in Swedish. Yeah, I’ve already spent half the day digging through the troves. A treasure, thanks Sir Jason Scott! If I did not love you already, Jason, this would make me love you. What an amazing opportunity! So glad you get the chance to share these docs. Many hours and many sleepless night of my youth were spent playing Infocom games; never did complete ‘Hitchhiker’. I really look forward to going through the scans. Needs to be in a Cornerstone database. This is amazing stuff! 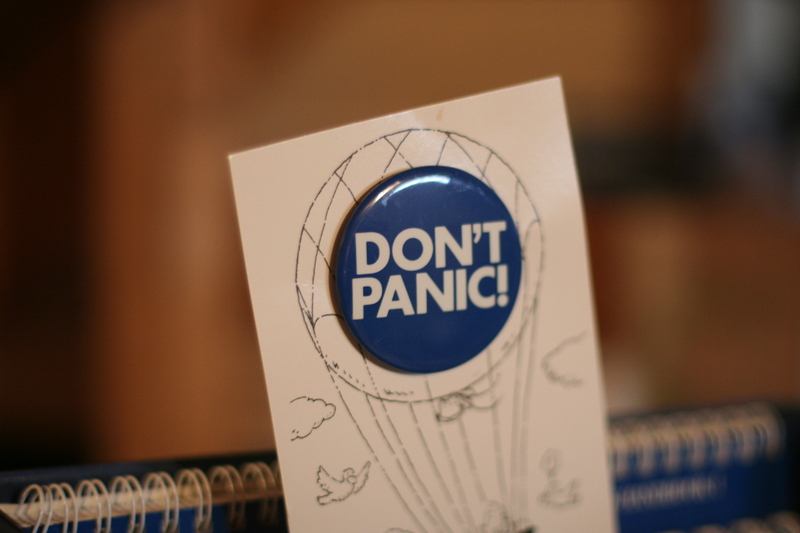 For some odd reason the hitchhiker’s guide game was one of my favorites well into 1987. I had spent a summer with Ultima IV only to return to a week or so deep in with the hitchhiker’s guide game. I don’t think I ever made it all the way through. Awesome. As everyone else said, just simply: thank you for this. This is awesome. Really excited to download the design docs. If there are any design docs on the mysteries (Deadline, Witness, Moonmist, etc), I would love to see those. I appreciate these made it into GetLamp. If there’s another kickstarter project or if you need $$ let me know. This is so amazingly good ! Well done man, and THANK YOU on behalf of the present and future game-fans. Incredibly inspiring ! Amazing that Steve M kept all that stuff so meticulously. And thank you, Jason, so much! For me and all the generations who will be able to discover it for themselves! I grew up with 70s crazy-comic, Monty Python, Cheech & Chong et all and was lucky enough to work with a British student who had taped the entire Hitchhiker’s Guide to the Galaxy BBC radio serie in the early 80s. I traded my Rasa – Universal Forum original LP for his cassettes and my destiny was pretty much sealed…. Infocom captured the time perfectly with witty comments in bleeding hard to finish games, phew! I had MAPS, MAPS and then MAPS, did I mention MAPS. It was just as often a crazy solution to a challenge as a logical one. A plot that suited me fine at the time, I may add. 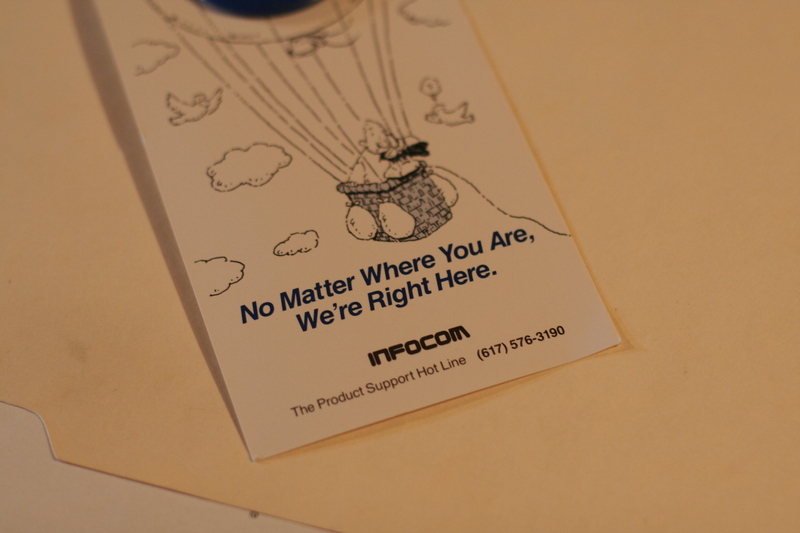 After sweating through the Zork trilogy several times to try different possibilities, Infocom became my guiding star. Sure, there were companies like “Magnetic Fields” and “Level 9”, but they never ‘owned my soul’ the way Infocom did. 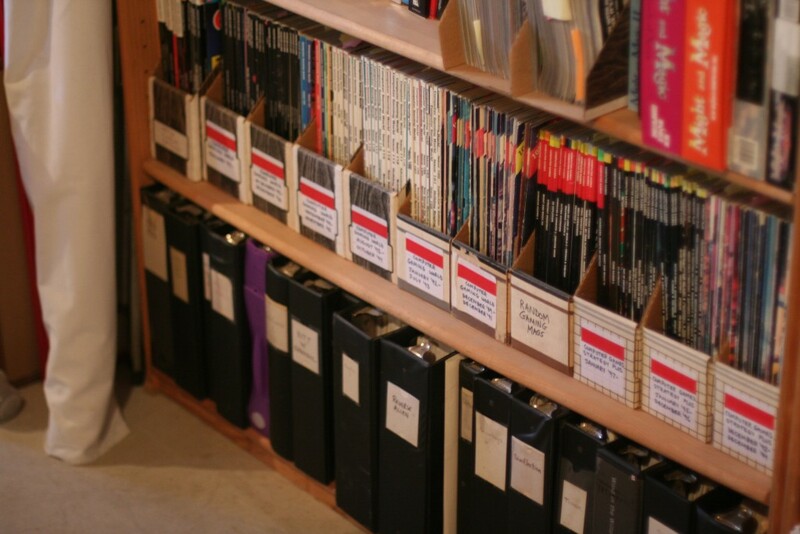 Today, all of this is a trip down Memory lane / Nostalgia avenue for me, and I am very grateful for Steve Meretzky’s archivist attitude towards his work. I am also very grateful for both the Get Lamp and BBS Documentary that you spent years to give us and I am proud to own adventure coin number 3746 as I feel I earned my stars playing most games mentioned in Get Lamp.